A Hawaii decriminalization bill nears passage, some California cities are suing the state over being forced to allow marijuana deliveries, the 3rd Circuit clarifies the law on intent to distribute, and more. California Cities That Restrict Marijuana Sales Sue State Over Allowing Deliveries. Twenty-four cities that ban legal marijuana sales filed suit against the state last Thursday, arguing that allowing home deliveries in those locales violates the state's marijuana laws. The lawsuit comes after the California Bureau of Cannabis Control adopted a rule in January that permits state-licensed companies to deliver marijuana in cities that ban pot shops. Florida Legalization Bill Killed. A bill that would have legalized marijuana in the Sunshine State is dead. HB 1117, filed by Rep. Carlos Guillermo Smith (D) was killed in the House Judiciary Committee, where, he said, "It got no hearing, no debate, no vote. Just like they always do." Hawaii Senate Committee Approves Decriminalization Bill. The Senate Ways and Means Committee has approved a bill that would decriminalize the possession of up to three grams of marijuana, HB 1383. The bill has already passed out of the House and two other Senate committees and now heads for a Senate floor vote. If it passes there, it will then go to a conference committee to iron out differences between the House and Senate versions of the bill. North Dakota Legalization Initiative Organizers to Try Again in 2020. Legalize ND, the folks behind the failed 2018 legalization initiative, will be back in 2020, the group said last Thursday. Organizers said they hoped to have initiative language in place by mid-summer. The new measure will include possession limits, growing limits, taxes on sales, banning of edible gummies, packaging and licensing requirements and wouldn't allow any type of advertising of products. New Mexico Governor Signs Omnibus Medical Marijuana Bill. Gov. Michelle Lujan Grisham (D) has signed SB 406 into law. The bill makes broad changes in the state's medical marijuana program, including allowing medical marijuana in schools and allowing licensed manufacturers to process home-grown marijuana. And it allows for reciprocity with other medical marijuana states and protects workers who are medical marijuana patients. 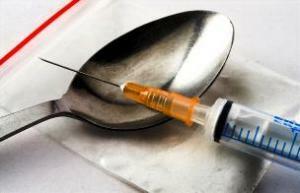 Third Circuit Tosses Heroin Dealer's Conviction, Clarifies Law on Intent to Distribute. 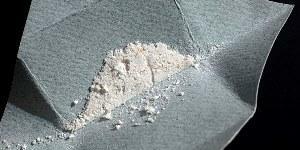 The US 3rd Circuit Court of Appeals has thrown out the conviction of a heroin dealer, ruling that a conviction for intent to distribute 1,000 grams or more of heroin must be based on evidence that the defendant possessed or distributed that quantity at a single time and not based on adding up several smaller possessions and distributions during the indictment period. Bipartisan Bill Targets China Over Fentanyl. Sens. Chuck Schumer (D-NY) and Tom Cotton (R-AR) led a bipartisan group of senators in filing a bill that would slap sanctions on China if it fails to live up to its recent promise to regulate fentanyl as a controlled substance. The Fentanyl Sanctions Act allots $600 million to law enforcement and intelligence officials to identify producers and traffickers of the drug and would block access to US markets for Chinese chemical and pharmaceutical companies if they are caught producing the drug. A New Mexico pot legalization bill dies and the governor says she will take it up next year, Minneapolis will quit charging small-time pot offenders, UN bodies and member states issue drug war human rights guidelines, a federal prisoner sues for access to methadone treatment, and more. Connecticut Democrats Unveil Legalization Package. A group of House Democrats held a press conference last Thursday to unveil a proposed package go bills to allow marijuana to be grown, processed, and sold to consumers in the state. The draft bills include a pilot plan for adult sales, but do not include letting people grow their own. New Jersey Legalization Committee Votes Begin Today. 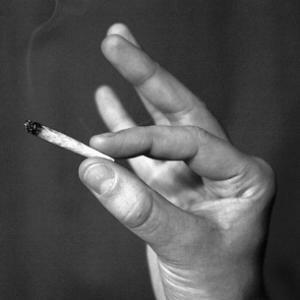 The compromise legalization bill agreed to by Gov. Phil Murphy (D) and legislative leaders is due for committee votes Monday, with an eye toward final passage next Monday if all goes well. The bill would allow adults to possess up to an ounce, but not grow their own. 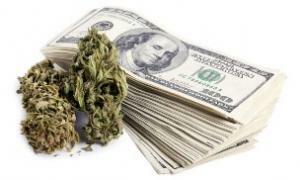 It would also expunge records of past pot offenses and set up a system of taxed and regulated marijuana commerce. New Mexico Decriminalization Bill Goes to Governor, But Legalization Bill Dies. In last minute action this past weekend, the legislature passed a pot decriminalization bill, SB 323, and sent it to the desk of Gov. Michelle Lujan Grisham (D). That’s some small consolation for the failure of a legalization bill, HB 356, which passed the House but died in the Senate Finance Committee. New Mexico Governor Adds Marijuana Legalization to 2020 Agenda. Gov. Michelle Lujan Grisham said Sunday she will add marijuana legalization to the agenda of next year’s 30-day short session. The move comes after a bipartisan marijuana legalization bill managed to pass the House this session, only to be stalled in the Senate until the session expired on Saturday. Minnesota’s Most Populous County Won’t Charge Small-Time Pot Offenders. Prosecutors in Hennepin County, the home of Minneapolis, will no longer prosecute people caught with small amounts of pot, County Attorney Mike Freeman said last Thursday. Under state law, possession of up to 42.5 grams is a misdemeanor, but possession of as little as 45 grams can be charged as a felony. Freeman said he will no longer charge anyone caught with less than 100 grams; instead, defendants will be considered for a diversion program. Missouri Posts Draft Rules for Medical Marijuana Program. The Department of Health and Senior Services released more drafts of rules for the state's emerging medical marijuana system last Thursday. The rules cover marijuana cultivation facilities, manufacturing facilities and medical marijuana establishments in general. Click on the link for a detailed analysis of the proposed regulations. Oklahoma Governor Signs Medical Marijuana Rules into Law. Gov. Kevin Stitt (R) last Thursday signed into law new regulations for the state’s nascent medical marijuana industry. The legislation sets guidelines for inventory testing and tracking, advertising, and packaging and labeling, among other things. It also allows employers to fire medical marijuana users in certain safety-sensitive positions, such as fire fighters and heavy machinery operators. Idaho Hemp Bill Moving. A bill to legalize hemp production, HB 122, passed out of a pair of committees last Thursday and is now headed for a House floor vote. The 2018 farm bill legalized hemp production, and 41 other states have already legalized hemp production. Oakland Psychedelic Decriminalization Initiative in Planning Stages. A coalition of advocacy groups in hosting a series of meetings in coming months aimed at building support for an initiative to decriminalize not only magic mushrooms but all “entheogenic plants, fungi, and natural sources.” The campaign is called Decriminalize Nature. Incoming Federal Prisoner Sues Over Policy Banning Methadone Treatment. A Massachusetts woman who is about to enter federal prison and will not be permitted to continue methadone treatment for opioid addiction under prison rules has filed a lawsuit against the federal Bureau of Prisons over the policy. Stephanie DiPierro has to do a year for collecting disability benefits and food stamps without reporting income from a job and has been on methadone since 2005. Massachusetts Bill Would Block Courts from Jailing Defendants in Treatment Who Fail Drug Tests. After the state’s highest court ruled last year that judges could order jail time for defendants who violate probation by using drugs, legislators have responded with S. 397, which would bar judges from incarcerating people who are in treatment and fail mandatory drug tests while on probation. The bill is currently before the Senate Judiciary Committee. UN Member States, UN Bodies, and Human Rights Groups Launch International Legal Guidelines on Human Rights and Drug Policy. 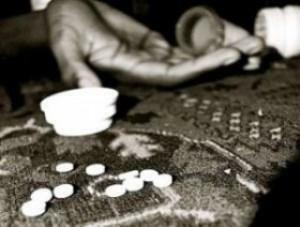 A coalition of UN Member States, UN entities and leading human rights experts meeting at the Commission on Narcotic Drugs on Monday launched a landmark set of international legal standards to transform and reshape global responses to the world drug problem. The International Guidelines on Human Rights and Drug Policy introduces a comprehensive catalogue of human rights standards. They are a guide for governments to develop human rights compliant drug policies, covering the spectrum of cultivation to consumption. Harnessing the universal nature of human rights, the document covers a range of policy areas from development to criminal justice to public health. Philippines Quits International Criminal Court Over Drug War Investigation. A year after the Philippines told the United Nations it was quitting the world’s only permanent war crimes tribunal because it is investigating human rights abuses in the bloody war on drugs led by President Rodrigo Duterte it has now officially withdrawn from the International Criminal Court. Manila moved to quit after the body launched a preliminary examination in 2018 into President Rodrigo Duterte's drug crackdown that has killed thousands and drawn international censure. However, the ICC said its preliminary investigation into Filipino drug war abuses would continue. No legal pakalolo for Hawaii this year, North Dakota sees its first medical marijuana dispensary, asset forfeiture reform advances in Michigan, and more. Hawaii Legalization Bill Dies. A legalization bill sponsored by Senate Majority Leader J. Kalani English (D) and cosponsored by half the Democrats in the Senate died last Friday after the Senate Health Committee did not schedule a meeting to hear any bills that day. Friday was the deadline for bills to be considered by the full Senate, so the inaction effectively killed the bill. Vermont Senate Approves Legalizing Marijuana Sales. The state Senate last Friday approved S.54, which would establish a taxed and regulated market for legal marijuana sales. The bill now goes to the House. This is the sixth time the Senate has passed a tax and regulate proposal, only to see them die in the House. But this year, 40 House members are supporting H. 196, a separate legalization bill that is slightly different from the Senate bill. Nebraska Medical Marijuana Initiative Cleared for Signature-Gathering. The secretary of state's office last Friday approved a medical marijuana initiative for signature gathering. The initiative would "amend the Nebraska Constitution to provide the rights to use, possess, access, and safely produce cannabis, and cannabis products and materials, for serious medical conditions as recommended by a physician or nurse practitioner," according to the ballot title. To qualify for the ballot, 10% of registered voters must sign the petition. It must also have signatures from at least five percent of registered voters in at least 38 out of the state's 93 counties. North Dakota's First Medical Marijuana Dispensary Opens. The state's first dispensary opened last Friday in a mini-mall in Fargo. Voters approved medical marijuana in November 2016, but it took the state more than two years to create a regulatory structure. Michigan House Approves Asset Forfeiture Reform Package. Two weeks after the state Senate passed an asset forfeiture reform package that would end civil forfeiture unless the assets are worth more than $50,000, the House has now passed a similar package. The two bodies will meet in conference committee to hash out minor differences before sending the legislation to Gov. Gretchen Whitmer (D). Utah Asset Forfeiture Reform Bill Killed in House Committee. A bill that would reform asset forfeiture practices in the state breezed through the Senate only to die last Friday in a House committee after the DEA and Utah narcotics officers blasted the bill. SB 109 would have required law enforcement to file cases only in state court to prevent police from giving cases to the feds to avoid state laws. 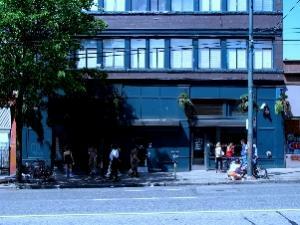 British Labor Party Calls for Safe Consumption Site Pilot Programs. The Labor Party has come out will a call for pilot programs for safe consumption sites. Calls for their introduction have grown louder as the United Kingdom grapples with its own overdose death crisis. Some 4,678 people died of drug overdoses in the kingdom last year. The White House belatedly released the National Drug Control Strategy, a Denver magic mushroom initiative has qualified for the May ballot, Northeastern marijuana legalizers are busy, and more. World Health Organization Urges Removal of Marijuana from Drug Treaties. The World Health Organization (WHO) last Friday published a letter to the United Nations advising that marijuana and cannabis resin should no longer be considered controlled substances under international drug treaties. WHO specifically asked that the substances be moved out of Schedule IV of the Single Convention on Narcotic Drugs, which includes drugs thought to have no therapeutic value. Cory Booker Enters Presidential Race With Call for Marijuana Legalization, Criminal Justice Reform. Sen. Cory Booker (D-NJ) formally entered the race for the Democratic presidential nomination last Friday and called for marijuana legalization and broader criminal justice reforms. There is a need for "changing our drug laws," including "ending the prohibition against marijuana," he said. "We do not have equal justice under the law," Booker said of the disproportionate rate at which black people are incarcerated under the country's drug laws. I believe in redemption." New York Governor Wants Marijuana Legalized by April 1. Gov. 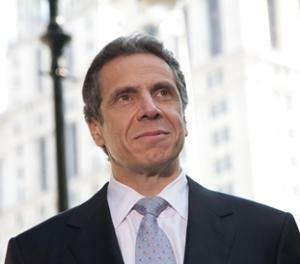 Andrew Cuomo (D) said last Friday he wanted to see marijuana legalized by the state budget deadline of April 1. His remarks came after Assembly Speaker Carl Heastie said that lawmakers might have to wait until after the budget to take up legalization. But Cuomo said Friday he isn't giving up on his timetable and that a lot can happen in the legislature in six weeks. Pennsylvania Legalization Bill Coming. Rep. Jake Wheatley (D-Allegheny County) will file a legalization bill that expunges criminal records for past pot convictions, releases inmates currently serving time for such offenses, and allows people 21 and over to use, buy, and grow marijuana. Vermont Attorney General Supports Legalizing Pot Sales. Vermont became the first state to legalize marijuana legislatively last year but did not legalize marijuana commerce. Now, there's an effort underway to do so with SB 54, and Attorney General TJ Donovan supports it. "We have to have a regulated market," he said last Thursday. "This is common sense." The bill is currently before the Senate Judiciary Committee. Wyoming Medical Marijuana Bill Filed. Republican House Majority Leader Eric Barlow has filed a bill to legalize medical marijuana, HB 278. The bill would create a strictly regulated system for the use and distribution of medical marijuana in the state. Denver Will Vote on Magic Mushroom Initiative in May. City officials announced last Friday that the Decriminalize Denver initiative to make adult use and possession the lowest law enforcement priority and bar the city from using its resources to arrest and prosecute people for the hallucinogenic fungi has qualified for the ballot and will go before voters in the May municipal election. This marks the first time any jurisdiction in the US will have voted on decriminalizing psychedelics. Trump Administration Unveils National Drug Control Strategy. The White House last Thursday released its long-awaited National Drug Control Strategy, which typically is released annually, but which the Trump administration failed to do last year. The document contains little new policy but instead emphasizes existing Trump priorities: reducing drug supply through stricter law enforcement, lowering first-time opioid prescription rates, and expanding access to addiction treatment. Despite its emphasis on supply reduction, it acknowledges the risk of reducing access for chronic pain patients. Although it talks about drugs coming across the Mexican border, the strategy does not contain the words "border wall." North Dakota School Board and Employee Drug Testing Bills Die. A pair of bills that would have mandated random, suspicionless drug tests for school employees and school board members have been killed in the Senate. SB 2310 was aimed at school employees, while SB 2337 was aimed at board members. Mississippi Bill Targets People Who Provide Drugs in Fatal Overdoses. After a conviction for "depraved heart" murder in the case of a fatal overdose was overturned on appeal, state legislators have filed HB 867, which would allow sentences of 20 years to life without parole for people charged with selling drugs that result in the deaths of others. 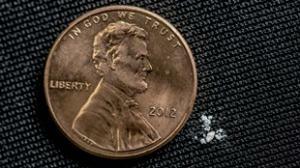 The bill would also increase penalties for the sale of heroin or fentanyl. The bill passed out of the House Judiciary Committee last week and is now headed for the House floor. A Delaware judge says a medical marijuana user fired for failing a drug test can sue his former employer, Arizona public health advocates want the governor to approve needle exchanges, and more. Incoming House Rules Committee Chairman Becomes Cosponsor of Marijuana Justice Act. What a difference an election makes! Outgoing House Rules Committee Chair Pete Sessions (R-TX) reliably blocked any marijuana reform legislation, but things are going to be different under incoming Chair Jim McGovern (D-MA). McGovern has already said he is "not going to block marijuana amendments like my predecessor has done," and now he has just signed on as a cosponsor of the Marijuana Justice Act (HR 4815). Indiana Governor Not Down With Marijuana Legalization. Gov. Eric Holcomb (R) has made it clear he will oppose any legislative moves to legalize marijuana. "I'm just not willing to look at that, especially since it is illegal right now according to the federal government," Holcomb said. South Dakota Marijuana Legalization Initiative Filed. Attorney General Marty Jackley (R) has filed a statement on the language of an initiative to legalize marijuana, the first step in the process of getting the measure on the ballot. According to the attorney general's statement, the measure would allow anyone 21 and over to grow, possess, use, and sell marijuana. Localities would be barred from taxing or regulating marijuana businesses. And, the attorney general says, "it forbids prosecutions for driving under the influence of ingested marijuana," but the language of the initiative only bars prosecution for "consumed cannabis metabolites." Delaware Judge Rules Fired Medical Marijuana User Can Sue Former Employer. A factory worker fired from his job after failing a drug test can sue his former employer, Superior Court Judge Noel Primos ruled on Monday. Jeremiah Chance claims his firing violated the anti-discrimination provision of the state's medical marijuana law and that he was targeted for retaliation after pointing out safety issues with railroad ties manufactured by the Kraft Heinze plant in Dover. The company had argued that the anti-discrimination clause was preempted by the federal Controlled Substances Act, but the judge disagreed. The law does "not require employers to participate in an illegal activity... but instead merely prohibits them from discriminating based upon medical marijuana use," Primos wrote. Oregon to Allow Medical Marijuana Deliveries in Areas That Ban Dispensaries. State regulators have approved medical marijuana deliveries in areas where dispensaries are banned effective December 28. The rules were approved last week after patient advocates voiced concern about rules that limited access to medical marijuana. Utah Bill Would Criminalize Using Fake Urine to Pass Drug Tests. Under a bill already approved by an interim legislative committee, it would be "a criminal offense to distribute, possess, or sell an adulterant or synthetic urine;" or "to defraud an alcohol or drug test using an adulterant, bodily fluid of another person, or bodily fluid expelled or withdrawn before collection for the test." The measure would make violations a misdemeanor. Arizona Public Health Advocates Urge Governor to Legalize Needle Exchange Programs. In a letter delivered last week to Gov. Doug Ducey (R), more than 30 organizations involved in public health and addiction recovery called on him move to legalize the proven harm reduction intervention. "Arizona has fallen behind in its response to this national crisis, states like North Carolina, Indiana, and Kentucky have all implemented syringe service legislation and are seeing the benefits in their communities," the letter says. "Too many lives are on the line to continue with the status quo." We've seen marijuana legalization spread further, we're on the verge of seeing Congress pass major sentencing reform legislation, and the ban on domestic hemp cultivation is coming to an end, among other things. The nation's fatal drug overdose crisis is far from over, but it now looks like it at least didn't get any worse this year. Driven in large part by the rise of fentanyl, overdose deaths reached a stunning 72,000 in 2017, a figure ten times the number in 1980 and double that of only a decade ago. But preliminary reports on the 2018 overdose numbers suggest that this may be the year the crisis began to ease. In June, the Centers for Disease Control and Prevention released provisional data showing that overdose deaths had declined for six straight months, dropping 2.8 percent from their 2017 peak. That report also found that opioid overdose deaths had declined by 2.3 percent. With both heroin and prescription opioid deaths declining, fentanyl has emerged as the most common drug involved in overdoses, being implicated in about a quarter of all drug overdose deaths. While the apparent decline in opioid overdose deaths this year is good news, the recent increases in cocaine and methamphetamine overdose deaths is not. And while any break in a years-long climb in overdose deaths is certainly welcome, another 70,000 or so Americans will still have died from them this year. We have a long, long way to go. Safe injection sites -- also known as supervised consumption sites, among other names -- where drug users can consume their doses under medical supervision and with an opportunity to engage with social services are a proven harm reduction intervention. More than a hundred cities around the world, mainly in Europe, Canada, and Australia have resorted to such facilities as a means of providing better outcomes, not only for drug users but also for the communities in which they live. There are no legally permitted safe injection sites in the United States (although some underground ones are reportedly operating in Seattle, and there may be more in hiding), but this year saw mounting pressure and serious efforts to get them up and running in a number of American states and cities. It also saw mounting resistance from federal officials. At the state level, California, Colorado, Missouri, and New York all saw safe injection site bills filed. Only the bill in California made it out of the legislature, but to the great frustration of reformers, it was vetoed by Gov. Jerry Brown (D), who cited long outdated beliefs about substance use in his veto message. Still, the fact that bills are being filed shows the issue is gaining momentum. The momentum is even stronger among a handful of major cities. Denver, New York City, Philadelphia, and Seattle have all taken steps to clear the way for safe injection sites this year, although none are yet in place. While like California's Gov. Brown, some state and local level political figures are hesitant to embrace them, a major reason none is yet in place is federal hostility. As the clamor for the facilities grows louder, so does opposition from the Trump administration. As Denver publicly pondered opening one, the local DEA and the US Attorney loudly warned they would be illegal, and the Philadelphia US Attorney did the same thing. Early in the year, the DEA in Washington issued a warning against safe injection sites, and in August, Deputy Attorney General Rod Rosenstein authored an op-ed in the New York Times issuing similar dire threats. The sentencing reforms include retroactivity for the Fair Sentencing Act (the 2010 law that reduced the crack/powder cocaine sentencing disparity), allowing the potential release of around 2,600 people; expansion of the "safety valve" allowing judges more discretion to sentence beneath mandatory minimum sentences; reform of the "three strikes" law, reducing the "second strike" mandatory minimum of 20 years to 15 years, and reducing the "third strike" mandatory minimum of life-in-prison to 25 years. The late word is that the bill will pass the House easily, but that hasn't happened as of this writing. If and when it does, the country will have taken a significant step toward a more just and humane federal criminal justice system. The passage has also drawn major media attention as a rare example of bipartisanship in Washington today. At the beginning of the year, marijuana for adult recreational use was legal in eight states, all in the West or New England and all thanks to the initiative process. As 2018 comes to a close, that number has jumped to ten, with Vermont in January becoming the first state to legalize it through the legislature and Michigan in November becoming the first Midwest state to legalize it. The initiative process is available in only half the states, and when it comes to legalizing weed, the low-hanging fruit has already been picked. A legalization initiative in conservative Nebraska went down to defeat this year, and remaining initiative states like the Dakotas, Nebraska, Oklahoma, and Arkansas are among the most socially conservative and least likely to free the weed. But prospects are rosier in initiative states Arizona, Missouri, and Ohio. We are likely to see pot on the ballot in all three in 2020. Vermont remains the sole state to legalize it legislatively, but a handful of states edged ever closer close this year. New Jersey Gov. Phil Murphy (D) wanted pot legalized in his first 100 days. That didn't happen, and legalization hasn't gotten through the legislature yet, but there is a small chance it could still happen this year and a very good chance it will be a done deal by early next year. Legislatures throughout the Mid-Atlantic states and Northeast grappled with the issue, laying the groundwork for next year and the year beyond, and just this week, New York Gov. Andrew Cuomo (D) called for legalization next year. The long march continues. As the year comes to end, legal weed is still here and Jeff Sessions isn't. President Trump's first attorney general was an avowed foe of marijuana (as well as drug and criminal justice reform in general), but despite rescinding the Obama-era Cole memo, which basically told federal prosecutors to leave state law-abiding pot businesses alone, the much-feared crackdown on the industry never came. Federal prosecutors, for the most part, continue to view legal marijuana businesses as a low priority, especially when faced with much more serious drug problems, such as the opioid overdose epidemic. But Sessions was also undercut by his own boss, who in April arranged a deal with Colorado Republican Sen. Cory Gardner in which he agreed to support a bill protecting states that have broken with federal pot prohibition in return for Gardner's allowing Justice department appointments to move forward. This year saw a plethora of federal marijuana reform bills, but with Republican leadership in both houses firmly opposed, the Capitol was where marijuana reform went to die. With Democrats in control of the House next year, things promise to be different next year, although the GOP-led Senate will remain an obstacle. But with pot consistently polling in the 60s, those Republican senators may grudgingly start coming on board. This year saw social justice concerns around marijuana legalization move front and center in two distinct ways: demands for the expungement of marijuana arrest records for people whose offenses are no longer crimes and demands for restorative racial justice from communities that have suffered the brunt of the war on drugs. The year started with two major West Coast cities, San Francisco and Seattle, leading the way on expungement. The, in September, California became the first state to put state-level automatic expungement into effect. Delaware and Rhode Island, which have both decriminalized but not legalized pot, also passed expungement bills this year. Expungement is also a contentious issue in the ongoing battle to get legalization passed in New Jersey. After a half-dozen years of legalization and well-heeled white guys making bank off legal weed, the call for racial justice, whether in terms of set-asides to guarantee minority participation in the industry or for funding streams aimed at restoring drug war-ravaged communities, is growing too loud to be ignored. This is an ongoing struggle now being played out not only in pot-legal states, but especially in states on the cusp of legalization. Moving forward, it's likely that every successful state legalization bill is going to have to address issues of social and racial justice. As they should. Finally, the absolutely most ridiculous aspect of federal marijuana prohibition is dead. Recreational marijuana's country cousin, hemp can't get anyone high, but is extremely useful in a broad range of industries, from foods to textiles and beyond. Thanks to a lawsuit from hemp interests more than a decade ago, hemp could be imported for American firms to use in their products, but because the DEA refused to recognize any distinction between hemp and recreational marijuana, American farmers were forced to stand on the sidelines as their competitors in China, Canada, and other countries raked in the rewards. But having a hemp-friendly senator from a hemp-friendly state allowed hemp legalization to move this year. Senate Majority Leader Mitch McConnell (R-KY) actually fought for the hemp bill, shepherding it into the must-pass farm appropriations bill and keeping it in there through negotiations with the House. President Trump has signed the farm bill, including the hemp provision, into law. 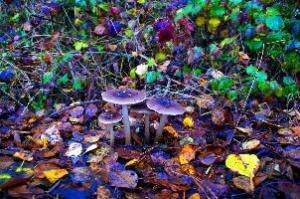 Initiative campaigns to legalize or decriminalize the use and possession of psilocybin-containing magic mushrooms began popping up in 2018. Actually, the first state-level initiative came last year in California, but this past summer it failed to qualify for the fall ballot. Right now, there are two psilocybin initiatives in the signature-gathering phase, a municipal initiative in Denver that would decriminalize the use, possession, and cultivation of psilocybin-containing mushrooms, and the statewide Oregon Psilocybin Service Initiative, which would decriminalize possession of psilocybin, allow magic mushrooms to be grown with a license, and would allow for therapeutic use of psilocybin. The Denver initiative would go before voters in May 2019, while the Oregon initiative aims at the 2020 election. If psilocybin initiatives follow the pattern set by marijuana legalization initiatives, the first time may not be the charm. But more will follow. The governors of New Hampshire and New York have very different views on marijuana legalization, New Jersey doubles the number of dispensaries, a new report examines drug treatment for criminal offenders in Utah, and more. Michigan Bill to Ban Marijuana Home Grows Defeated. A bid by the outgoing Republican Senate to undo the will of the voters by amending the state's new marijuana legalization law to ban home cultivation has failed by failing to obtain a supermajority. The bill sponsored by Senate Majority Leader Arlan Meekhof (R-Grand Rapids) needed three-quarters of the vote to pass. Meekhof is sad now: "I'm very disappointed. I knew it would be a heavy lift," he said. "What we're going to be allowing to happen is going to make our society less safe," he complained without explaining how or why. New Hampshire Governor Rails Against Legalization. Gov. Chris Sununu (R) isn't exactly climbing on the marijuana bandwagon. In remarks over the weekend, he said preventing legalization would be one of the biggest fights for his administration, and that he would "absolutely" veto any legalization bill "regardless of what the language looks like." Still, he was cognizant that the trends aren't on his side. "But then there's a good chance that veto could get overruled," he conceded. New York Governor Calls for Legalization in 2019. In a Monday speech outlining his 2019 agenda, Gov. Andrew Cuomo (D) called for freeing the weed. "Let's legalize the adult use of recreational marijuana, once and for all," Cuomo said. He is also reportedly exploring whether to make expungement part of the push. New Jersey Just Approved Six More Dispensaries. The state Department of Health on Monday effectively doubled the size of its medical marijuana program by approving six additional dispensaries. There are only six in the state right now. Click on the link to see the list. Utah Report on Treating People in the Criminal Justice System. The Utah Foundation has released Rethinking Rehabilitation: Improving Outcomes for Drug-Addicted Offenders in Utah. The report explains efforts to address addiction within the context of the justice system in Utah and explores alternative approaches for people struggling with substance use disorders. It also sets forth policy guidance for future action. Among the report's key findings are that efforts to reduce the state prison population appear to be bearing fruit. However, the populations of local jails in Utah are rising, and local facilities often lack the drug treatment programs found in state prisons. Another key finding is that investments in drug rehabilitation for offenders can yield significant savings to taxpayers in the long run.